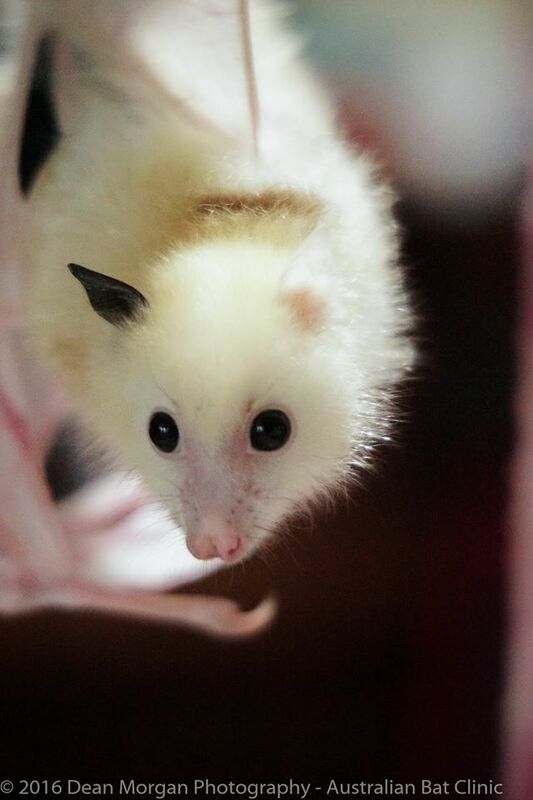 Stunning photos of Tal'ngai Dha'run - a very unique Grey Headed Flying Fox in care with Australian Bat Clinic & Wildlife Trauma Centre. 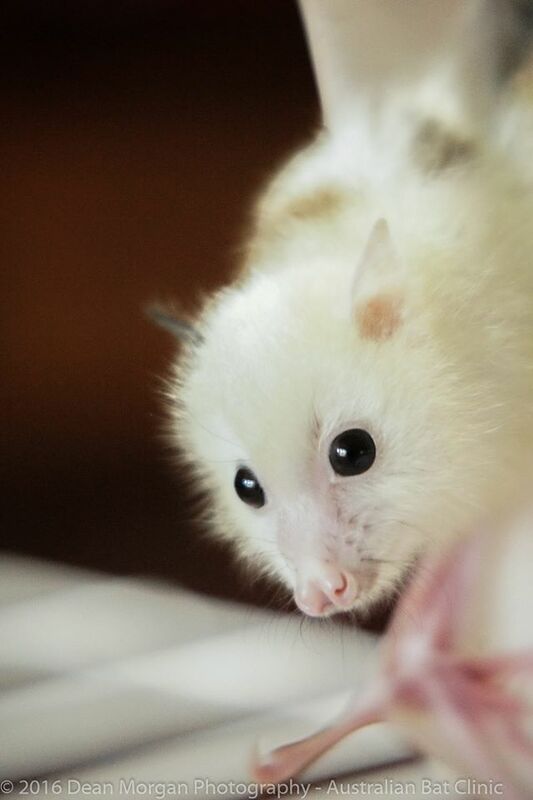 He is truly photogenic. 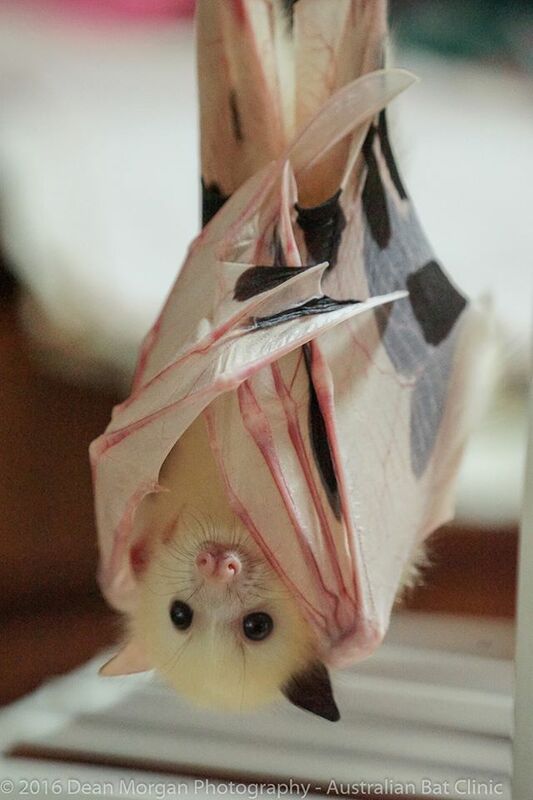 Some people might view bats as terrifying creatures but in reality, that’s not the case. 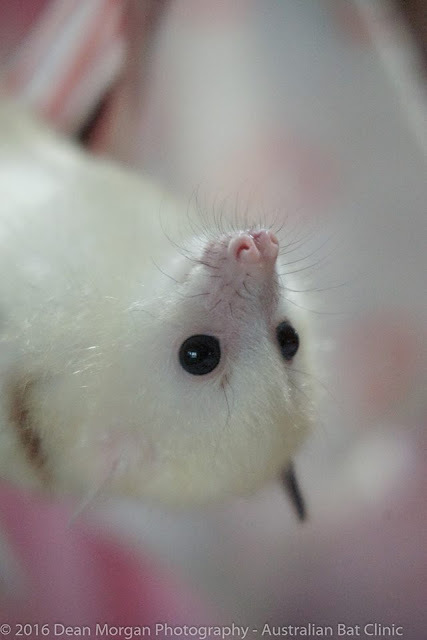 We know that many animals are unfortunately given bad reputations because of our misconceptions about them, and bats are one example of this. 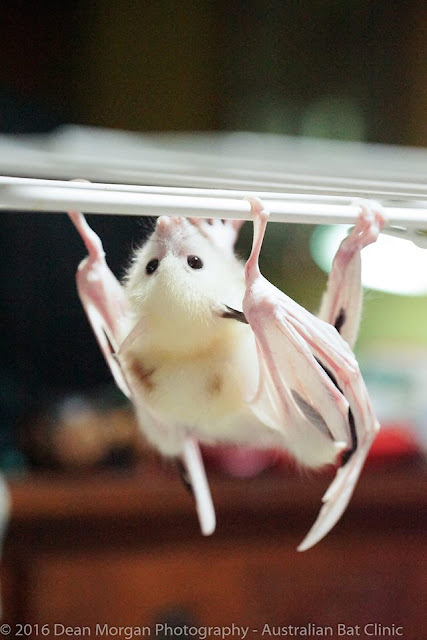 Most bats pose little or no threat to humans and are actually quite beneficial to us. 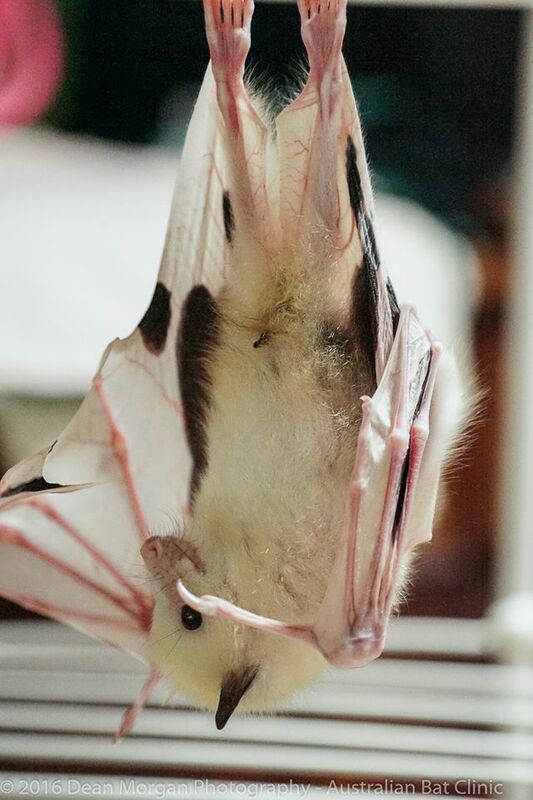 For instance, one brown bat – about the size of a human thumb – can consume about 600 mosquitoes and other unwanted insects an hour. Amazing! Sadly, bat populations are in decline. 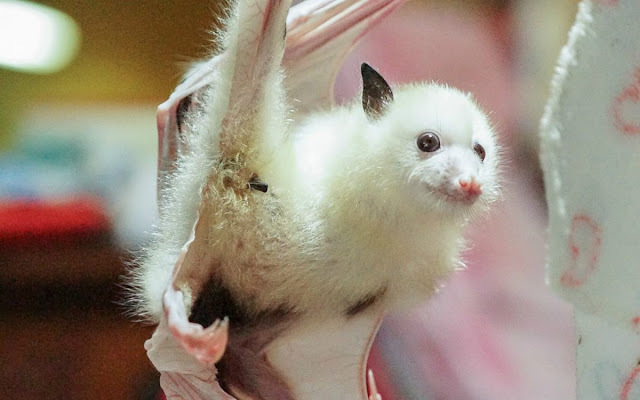 Many bat species are in danger of extinction due to habitat loss, culls, and fatal white-nose syndrome. White-nose syndrome is a form of fungus that grows on bats when they are hibernating. So far, six million bats have died from this disease. 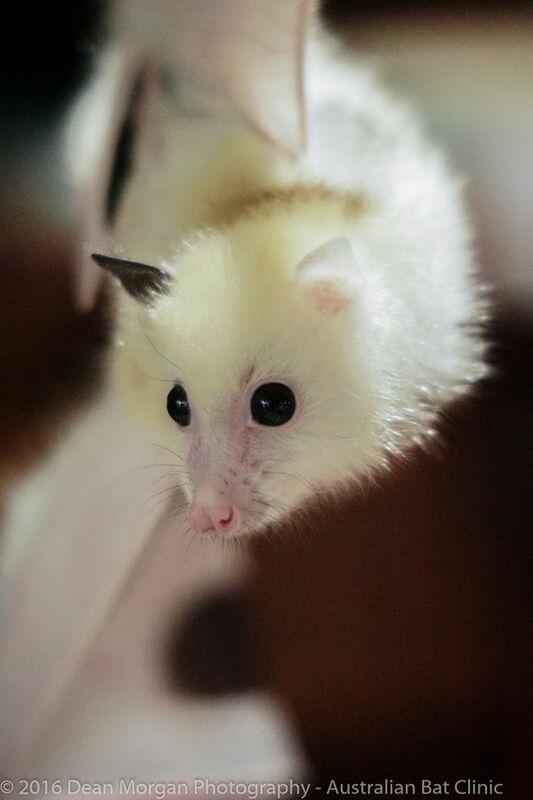 Australian Bat Clinic and Wildlife Trauma Centre, located in Queensland, Australia is working towards changing the misconceptions about bats. 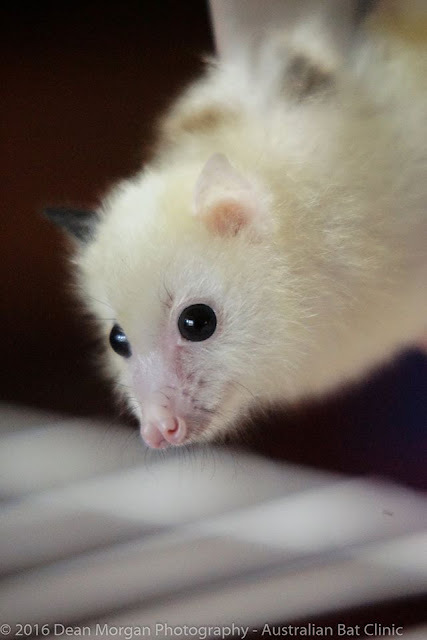 The organization aims to care for injured and orphaned bats, and they currently have a very unique Grey Headed Flying Fox, named Tal’ngai Dha’run, in their care. They believe this little one has leucism, a condition that causes partial loss of pigmentation in an animal resulting in white, pale, or patchy coloration of the skin, hair, feathers, scales or cuticle, but not the eyes. Not only is this one incredibly rare, but they believe he might just be the only one who exists! His condition hasn’t stopped him from making friends or interacting with his caretakers, though. The clinic’s staff report he is a total lovebug. Check out these stunning photos! Tal’ngai Dha’run is not only a gorgeous guy, but he plays a critical role in our ecosystem. Bats can eat millions of bugs in one night which means that farmers don’t have to use as much pesticide when bats are around. 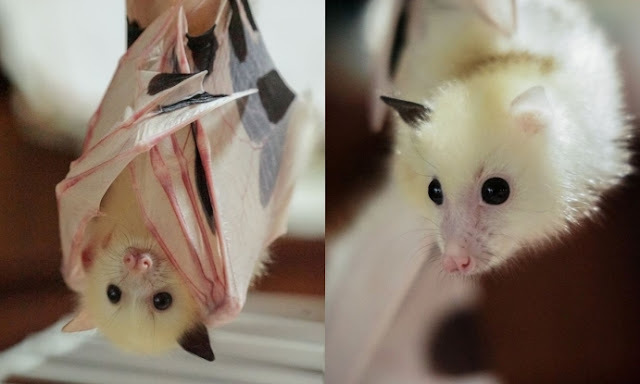 Bats are also pollinators. Responses to "World Rarest Bat: Meet Very Unique Rescued Grey Headed Flying Fox"
That is the cutest little bat I have ever seen. Of course besides miss peridot.